ACT-LA co-anchors Build Better LA, a coalition of labor and affordable housing advocates that aims to ensure the creation and preservation of critically needed affordable housing and local, high-wage jobs for Angelenos. Build Better LA successfully passed Measure JJJ in November 2016 to ensure that Los Angeles residents benefit from the current development boom in Los Angeles by requiring low-cost housing be included in developments getting zone changes and General Plan Amendments. The new law also requires that these developments create livable wage jobs for local residents who need them the most. JJJ will safeguard families at risk of displacement by preserving the City’s affordable housing stock through replacement of rent stabilized units. 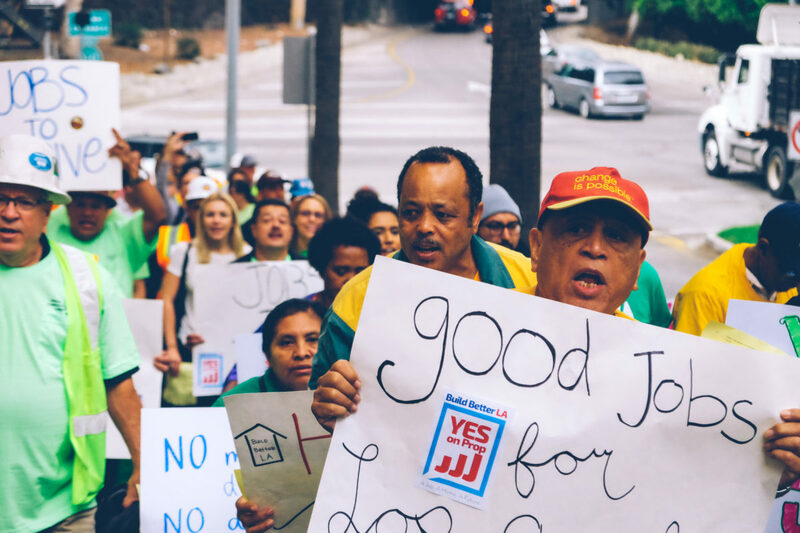 As the City of LA updates its 35 Community Plans, Measure JJJ will be a tool that advocates can use to ensure the plans promote affordability and access for the City’s low-income communities. 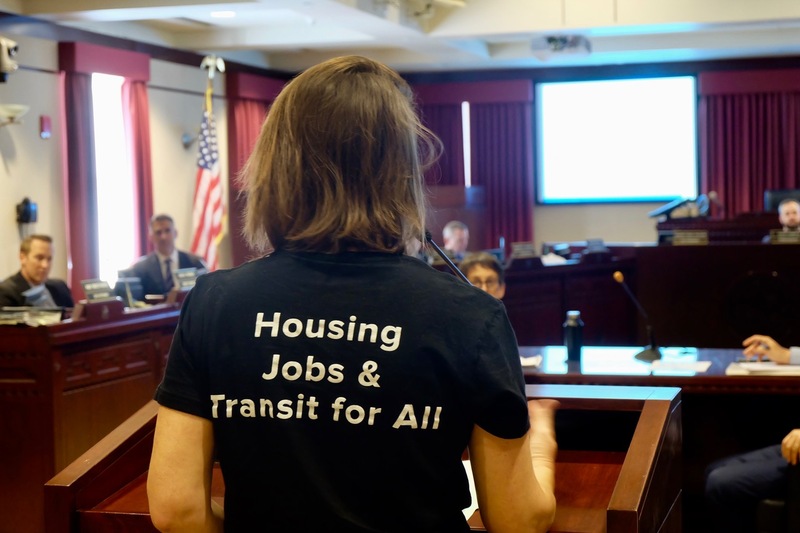 Read the full text of Initiative Ordinance JJJ (Measure JJJ) here. In May 2017, the LA City Planning Commission adopted guidelines for the Transit Oriented Communities Affordable Housing Incentive Program. The program – which was a core element of Measure JJJ – will allow extra density and parking reductions in developments built within a half mile of a major transit stop in exchange for guaranteeing affordability and promoting walkable, transit-connected, sustainable and vibrant neighborhoods. This program will add thousands of new deeply affordable units to developments in transit-rich areas throughout the City of LA and will require the replacement of any affordable units destroyed by new developments. With $160 billion being invested toward transit infrastructure for the Los Angeles region, it is critical that opportunities like the TOC Affordable Housing Incentive program allow for working, transit-dependent families to live near existing and future transit stations.